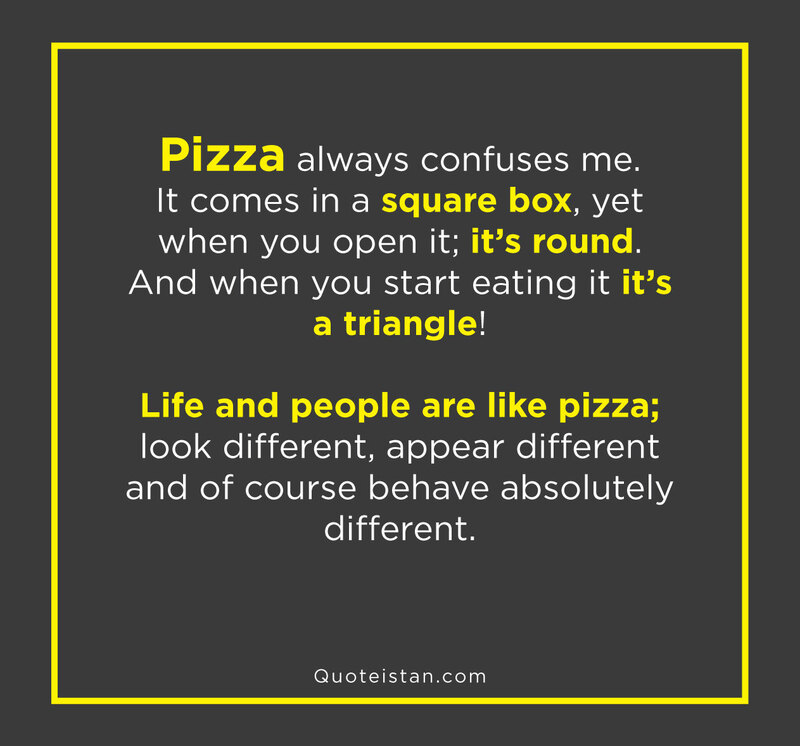 Pizza always confuses me… it comes in a square box, yet when you open it; it’s round. And when you start eating it it’s a triangle! Life and people are like pizza; look different, appear different and of course behave absolutely different.